Not everything is as it might seem on the Legacy of the Wild slot machine from Playtech. There’s witchcraft and wizardry afoot, oh and plenty of opportunity to win big too. Playtech have done an excellent job creatively with this game. The special features are innovative yet remain relevant to the supernatural theme. This, combined with the game’s strong presentation, makes for an unforgettable slot experience! Great feel. The artwork, features, and soundtrack work together to create a slot with loads of atmosphere. Innovative special features. We love how “outside-the-box” Playtech went on Legacy of the Wild. The inclusion of some animation feels like a missed opportunity given the subject matter. 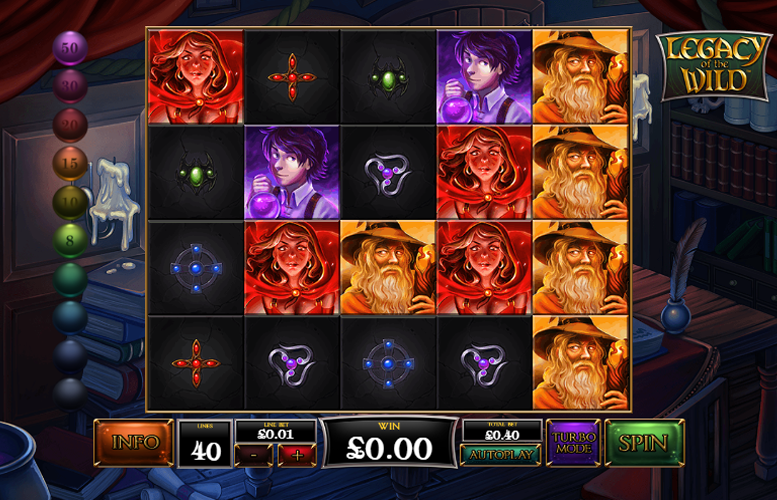 The top jackpot symbols on the Legacy of the Wild slot are all represented by various supernatural characters. To win one of the largest payments, players must match five of these symbols down a single win line. Book of Wilds = 750x the line bet. Orange Wizard = 750x the line bet. Blue Warlock = 300x the line bet. Green Orc = 300x the line bet. Red Witch = 150x the line bet. Purple Alchemist = 150x the line bet. Any winning combination of symbols will trigger a second opportunity to win known in Legacy of the Wild as a “Wave”. All those symbols involved in the winning combination explode after the payment is awarded. This causes those symbols remaining to collapse into the empty space and new ones to fall and fill the gaps. Each wave of symbols can create new winning combinations for another wave and lead to additional wins. 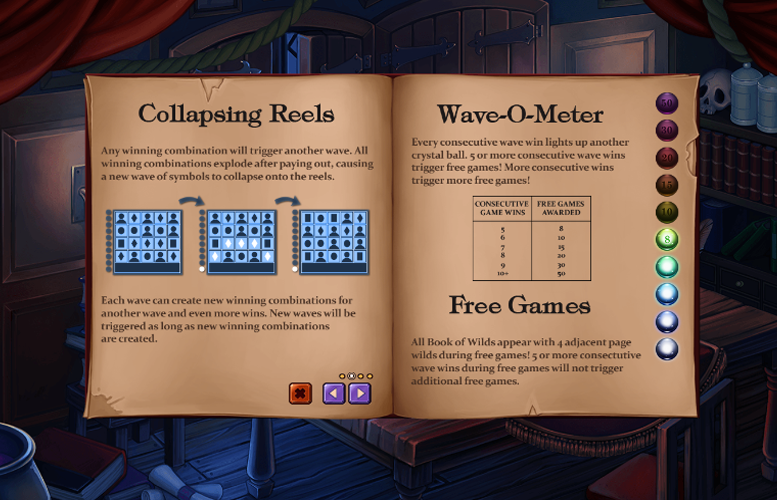 New waves will stop occurring when no new winning combinations are possible. Book of Wilds symbols in Legacy of the Wild substitute for all other symbols. Every consecutive wave win will add “page wild” symbols next to a book “wild” symbol on the reels. On wave two, a “page wild” symbol will appear to the left of every book “wild” symbol. On wave three, a “page wild” symbol will appear below and to the left of every book “wild” symbol. On wave four, a “page wild” symbol will appear below, above, and to the left of every book “wild” symbol. Finally, on wave five, a “page wild” symbol will appear below, above, and to the left and right of every book “wild” symbol! Five waves = 8 Free Games. Six waves = 10 Free Games. Seven waves = 15 Free Games. Eight waves = 20 Free Games. Nine waves = 30 Free Games. Ten or more waves = 50 Free Games. 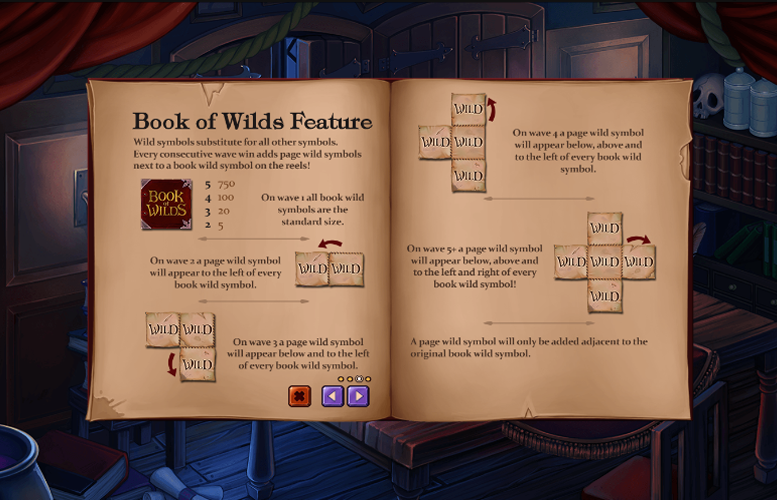 During the free games, all “Book of Wilds” symbols will appear with four adjacent page “wilds”. Players should note that additional consecutive waves will not retrigger this feature. In addition to the higher value symbols on Legacy of the Wild, there are also those that do not pay quite so much. These have been represented by various coloured symbols – possibly taken directly from the Book of Wilds itself. Orange Symbol= 125x the line bet. Blue or Green Symbol = 75x the line bet. Red or Purple Symbol = 50x the line bet. In terms of betting limits and distribution on Legacy of the Wild, players are only able to adjust the amount bet on each of the 40 fixed win lines. 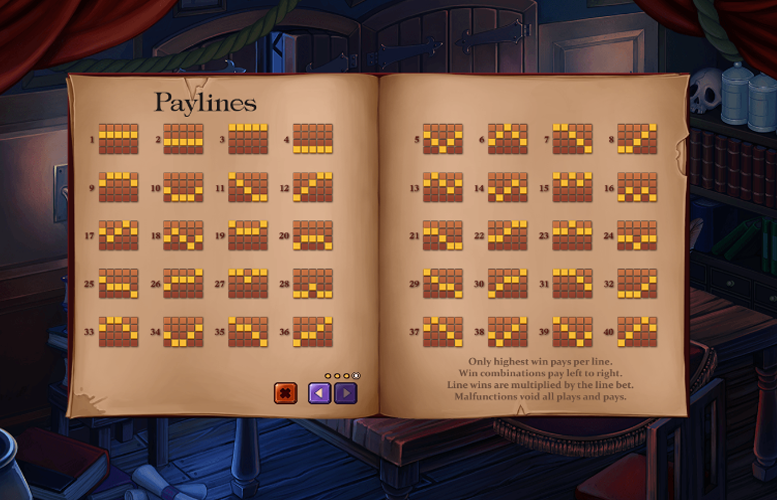 The lowest value per line is just 1p, making the minimum bet per spin 40p. Meanwhile, the highest bet per line is £3. This makes the maximum possible bet on the title £120. This is somewhat on the lower side for a maximum bet, but it is easily enough to satisfy almost all players. 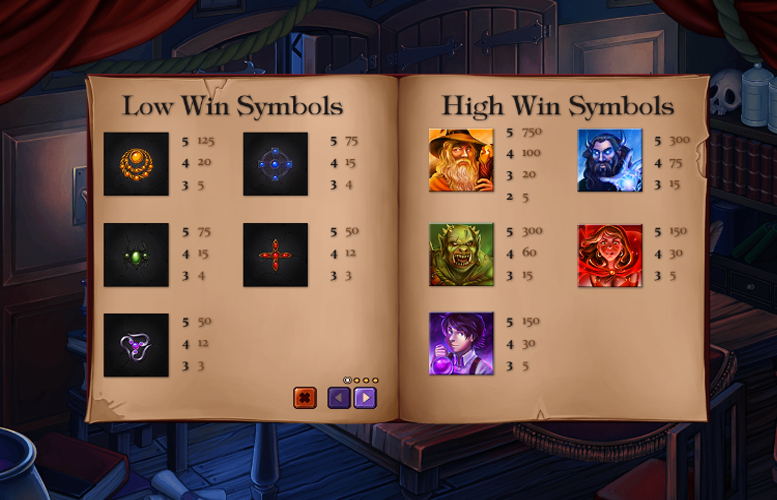 The Legacy of the Wild is a fantastic game for those with a penchant for witchcraft, as well as anyone who just really likes a well-designed slot machine. Playtech have created an excellent atmosphere through use of dark imagery and mysterious character symbols. Couple this with the frankly excellent special features on the game and the package only gets stronger. There is very little not to like about Legacy of the Wild. However, there are some groups of players who might not get quite as much enjoyment out of the title as we did. These include: fans of much simpler gameplay experiences and the very highest rollers. This game has a rating of 5 / 5 with 486 total reviews by the users.